As many of you know, the San Diego State University (SDSU) Graduate School of Public Health (GSPH) is the only accredited school of Public Health in San Diego and one of only four in California. As the new GSPH Director, I remain committed to its mission of improving population health and well-being by building a diverse public health workforce. The school’s reputation is built on excellence of its faculty and the achievements of alumni who have become recognized public health leaders both locally and nationally. Over the next years, we will continue to enhance our curriculum by being innovative in what and how we teach to better prepare students for the increasingly competitive job market, grow our global presence, and provide alternatives to classroom teaching and expanded opportunities for continuing education to our local public health community. And we will do all of this while maintaining the strong research program we have always been known for. This year, we will be actively seeking to establish additional partnerships and find new sources of external funding to support continued innovation and provide the resources needed to train our students and support our faculty. I hope you will consider supporting the GSPH as part of SDSU’s first Give Day on October 25, 2016. Join the Aztec community for The Great Give—a 24-hour event to support an SDSU college, program, or scholarship of your choice.  Follow us on social media and visit sdsugreatgive.org to get involved. Remember that a small donation—even a few dollars, such $5, the cost of a drink at Starbucks—can have an impact on achieving our mission by supporting promising and underserved students, providing resources for urgent public health issues and continuously seeking innovation in our programming. Funding education and applied experiences will have local and global impact for years to come as students put these experiences into practice. Your donation will support all aspects of the school’s curriculum and its operations. For example we have been able to support students presenting their work at the annual meeting of the American Public Health Association, student led research projects, and professional development series that provided networking opportunities for our students. If you would like to discuss this, please don’t hesitate to contact me directly at 619-594-3754. Thank you for your continued support of the GSPH!